Time is money. If you have to make multiple trips to and from the jobsite because your pickup can't hold all your gear, then profits are slipping through your fingertips. With a Hauler Racks Utility Truck Rack mounted to your truck, you'll have room to spare and strength enough to haul over a short ton: up to 1200 lbs. 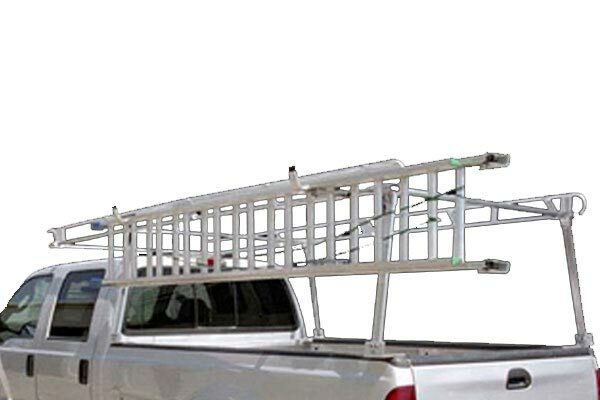 From full-size ladders to copper piping, a Hauler Racks Utility Truck Rack provides the perfect platform for carrying all the long stuff. Each one boasts a cab-covering cantilever, maximizing every possible square inch of your rig's roof space. Plus, Hauler Racks leave your truck's payload wide-open for transporting all your loose stuff. 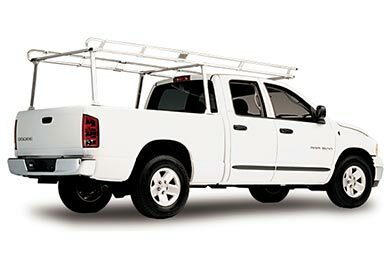 Hauler Racks Utility Truck Racks are engineered with an intense backbone. This contractor-grade Heavy-Duty Hauler Rack can handle 1200 lbs. Made in the USA from rust-proof anodized aluminum with galvanized and stainless steel hardware. 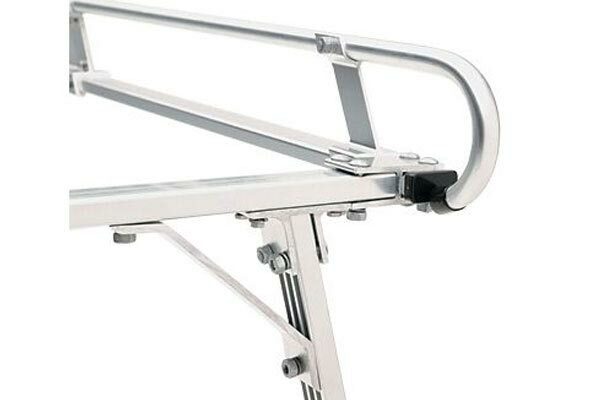 Plus, Hauler Racks covers your Utility Truck Rack with a 1-year warranty against rust. Expensive but a great rack. There was a humming noise until we bolted on a angle iron on the front cross bar. that quieted it down. Also it was overall too wide on the top for the truck. We took about three inches out of the width on top of the rack. This now looks right and is a sharp looking rack. Weak Lousy Racks. Really wish I didn't buy them. These things are a complete waste of money if you plan on hauling lumber. They'd work great for a kayak or surf board, but don't buy these if you want to haul anything heavy. It says max load 1,200 lb/s but I thought it was gonna bust when I loaded 300lbs of lumber. And when I was assembling the racks, using a 1/2" ratchet, I managed to snap a bolt. The pathetic quality of this thing would be laughable if I didn't spend so much money on it. Again though, if your hauling light you'll be fine. The Rack was easy to install and very light weight. The noise going down the road created by wind turbulence was only noticeable at at 60 mph and above, even then not as bad as some other racks on the market. There were 2 downsides in my opinion. First, I didn't like using the lags provided for anchoring to the truck bed rails. I know there are better fasteners available. Second, it would be an excellent feature to have the rear cross bar removable. Reference # 758-488-904 © 2000-2019 AutoAnything, Inc.